An Adventure on sand dunes and same. 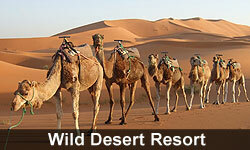 get a feel of shifting sand dunes Capturing the spirit of Sand Dunes and ensuring the perfect Dunes experience at Wild desert resort, a unique Sam Dunes Resort and Camp. Nahar Singh Haveli Hotel is a quaint hotel located in the heart of the bustling city of Jaipur. This heritage boutique hotel perfectly blends the rich culture and intimate ambiance that echoes the history of the city. The hotel is easily accessible from all the major transportation hubs. The Jaipur International Airport is 13 kilometers, Railway Station is 1.5 kilometers and the Central Bus Station is just 500 meters away from the hotel.